How do you write SMART goals? Do goals really contribute to your success? Should I use a SMART goals template? When it comes to achieving success, one of the most important steps that you can take is setting good goals. It is also important to recognize, though, that not all goals are created equal. In this article, we’ll take a look at a special class of goals called SMART goals and how you can use them to increase your chance of success. We’ll also discuss the benefits of using a SMART goals template like the one available here. Pro tip: Using a template is one of the best ways to learn how to write SMART goals! A goal can be any objective that you set for yourself and push yourself to achieve. Sometimes that goal may be small (like waking up an hour earlier than you normally do) and sometimes it may be larger (like earning a promotion). While having goals of all kinds is almost always beneficial at least to some degree, there are a few drawbacks to regular goals. For one, they’re often arbitrary, meaning that even if you achieve your goal it may not really end up providing any significant benefit to your life. Other times, people set goals that are not truly achievable. 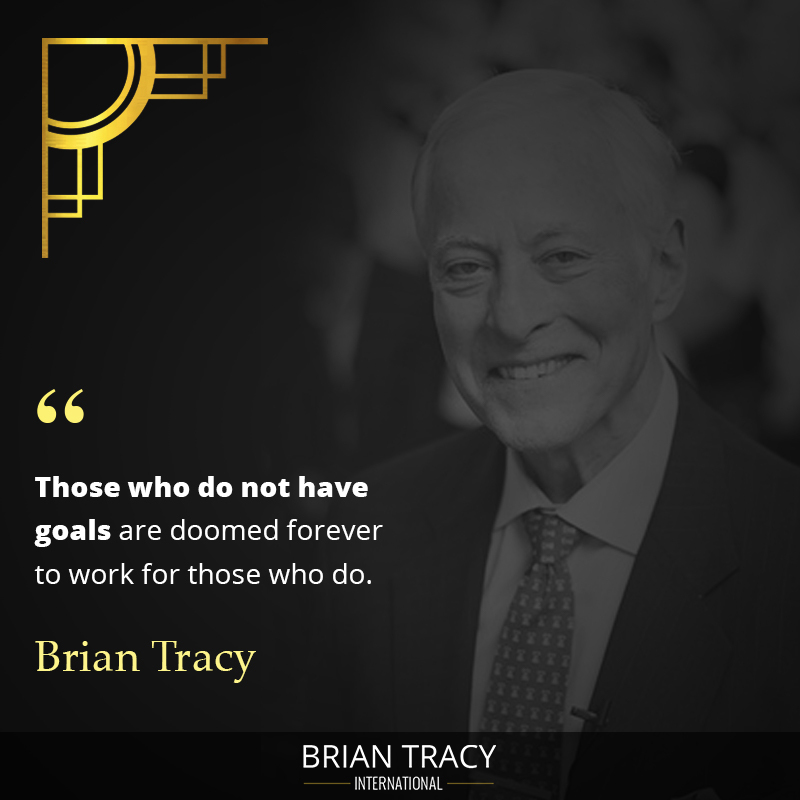 While these goals may still inspire a person to push themselves, they often lead to frustration and disappointment when they are ultimately not achieved. Keeping your drive fired-up and your mindset positive is crucial to staying focused on them. In the following video I provide a few tips to maintain willpower while working to achieve your goals so you can operate on a higher level for a greater amount of time. Regular goals may also be difficult to measure and gauge, making it hard for you to determine whether or not you are making any real progress toward your goal. Lastly, unless goals are time-bound, it’s too easy for them to end up in a state of limbo where they are never really abandoned and yet never really achieved either. For example, lots of people have good intentions to publish a book because they feel it will make their life – or someone else’s life – better. 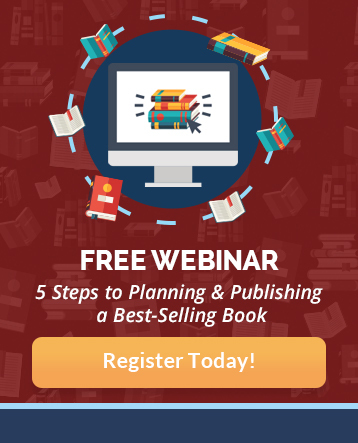 BUT, for whatever reason, they never take the first step toward their goal which should probably be to learn how to write a book and get it published. Enter SMART goals, which are able to address all of the flaws associated with regular goals in order to provide you with a set of goals that will give you the maximum possible benefit. SMART goals are goals which are specific, measurable, achievable, relevant, and time-bound. This specific criteria is easily remembered by using the acronym S-M-A-R-T. The idea for SMART goals is believed to have got its start from Peter Drucker’s Management by Objectives concept. SMART goals also received a big boost in popularity when Professor Robert S. Rubin wrote about them in an article for The Society for Industrial and Organizational Psychology. Now that we’ve clearly defined SMART goals, it’s time to dive into a little more of the theory and meaning behind the acronym. We’ll also look at how SMART goals can be used to improve both your personal and professional life. But before we get to that, enjoy this quick video to learn how to apply the Pareto Principle to your SMART goals so you can stay focused on tasks with the greatest impact. Goal setting theory highlights the importance of goal setting by proposing that those who set goals for themselves are more likely to achieve success than those who do not. Researcher Edwin Locke was instrumental in proving goal-setting theory to be true, and the proposed five principles of effective goal setting. Clarity: Goals need to be clear and easily understood in order for them to be most effective. Challenge: Good goals have a high enough level of difficulty that you actually have to push yourself in order to achieve them. Commitment: Without a high level of commitment, it’s difficult to achieve any goal, especially those that are somewhat challenging. Feedback: You need to be able to receive information about how well you are progressing toward your goal. This information can be used as a motivator, or it may signal that your goal is either too easy or too challenging and needs to be adjusted. Task Complexity: The more complex a goal is, the more time you need to give yourself to achieve it. Good goals don’t have to be complex, but understanding how complex your goals are is an important part of planning how you will achieve them. Goal setting theory highlights the importance of goal setting while also outlining some of the principles associated with setting and achieving good goals. When looking at SMART goals, it’s important to understand goal setting theory, not only to provide some basis for the idea that setting good goals is beneficial but also to show the ways in which SMART goals help you fulfill its principles. Setting SMART objectives and goals is simple – all you have to do is create a goal that fits each of the criteria in the SMART acronym. S.M.A.R.T. stands for specific, measurable, achievable, relevant, and time-bound. Good goals are not ambiguous. Rather, you need to have a clear, concise goal that you can set your sights on. For example, rather than saying “I want to have a better body” you could say “I want to lose fifteen pounds this summer”. You can see how the latter example is much more specific, and, therefore, is a better goal. Tracking the progress of your goal is an important part of keeping you motivated. It allows you to set milestones that you can celebrate when you meet them and reevaluate when you don’t. It’s a good idea, then, to always have some aspect of your goal that can be measured and evaluated. Far too many people fall into the trap of setting impossible goals for themselves. While impossible goals may push you forward for a while, you will almost certainly end up giving up on them at some point in the future. Instead of impossible, your goals should be challenging yet achievable. Before you set a goal, make sure that you can actually envision yourself achieving it. Not all goals are as worthwhile as others. Unless your goal is relevant to your overall plan for your life, achieving it may not accomplish anything. In order to ensure that your goal is beneficial, make sure that it is worth your time, make sure that achieving it will provide positive benefits to your life, and make sure that this goal aligns to at least some degree with the other goals you have. Effective SMART goals must have a target time attached to them. For example, rather than saying “I want to start reading more books” you could say “I want to read twelve books in the next six months”. You can see how the person who set that second goal will be much more motivated to succeed since they have a target date in mind for their goal. When considering how to write SMART goals, it’s a good idea to write down each of these criteria then write a sentence or two about how your goal fits each one. If you can write a goal that fits each of these criteria, you’ll have a SMART goal that is sure to be much more beneficial than a standard goal. In addition to writing down the criteria for a SMART goal and checking that the goal you set matches each criterion, you may also find it beneficial to make use of a more thorough goal setting template. 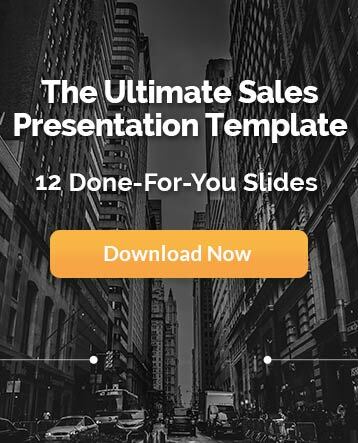 How you decide to use a goal setting template depends on the template itself. 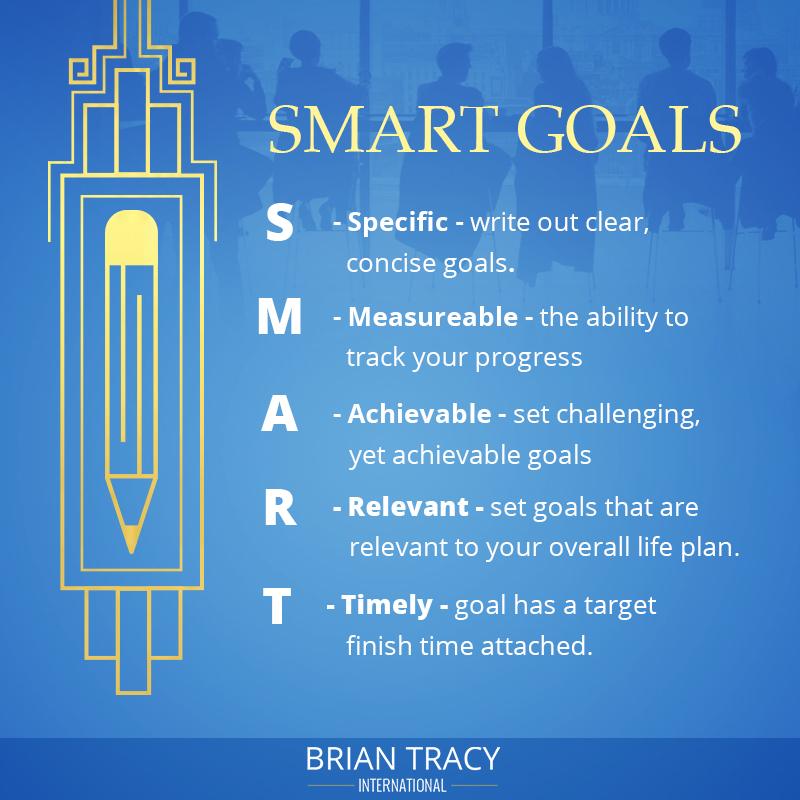 A SMART goals template may include things to help you analyze your goals and ensure that they are indeed a SMART goal, things to help you keep track of your progress, things to help you stay motivated, and more. Writing SMART goals is much quicker when you use a template. I like to print out my PDFs and use them as a worksheet for each one of my goals. To do this, simply fill out each section in the template as it applies to your specific goal at the time and in the order you are instructed to do so and you’ll be on your way. 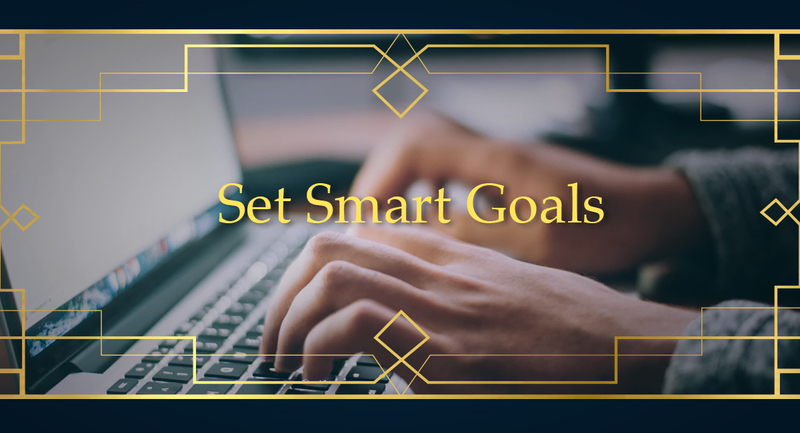 For those who enjoy using templates, planners, and other written tools to help keep them organized, goal setting templates may help them get even more benefit out of their SMART goal agenda. The difference between goal-setters and non-goal-setters. In case you’re still unsure what exactly qualifies a goal as being “SMART”, let’s take a look at a few examples of SMART goals. Understand that SMART goals can apply to any goals in life. They can include personal, professional, academic, business, health, fitness goals and more. They can also be long or short term. Essentially, any type of goal can (and should) be modified so that it fits the criteria of a SMART goal. With that said, let’s dive into some examples of goals that are SMART goals. Let’s say that your goal is to start saving more money. Now, in and of itself, this isn’t a SMART goal, but it can easily be modified so that it is one. You could say that you want to save $10,000 a year for the next ten years. Now, the goal is specific and measurable, since you have an amount that you are shooting for and the ability to measure the amount you end up actually saving. This goal is time-bound as well, since your goal is to save a specific amount each year over a given period. Whether the goal is achievable depends on your own financial situation, but assuming it is, the goal fits that criteria as well. Lastly, you have to analyze whether saving money is a relevant and important goal for you personally. Assuming it is, then the goal in this example fits all the criteria of being a SMART goal. In this video, I explain how to use SMART goals to keep your entire team motivated to perform their best. In the last example, the goal in question was a pretty long-term goal. However, short-term goals can certainly be SMART goals as well. Let’s say you are a student and have an education goal to make an A on an upcoming test in a class you are taking. Right from the start, this goal is a SMART goal. It’s certainly specific and measurable. It’s time-bound since the test will no doubt take place at a given date sometime in the future. We can also assume it’s achievable and relevant as well. 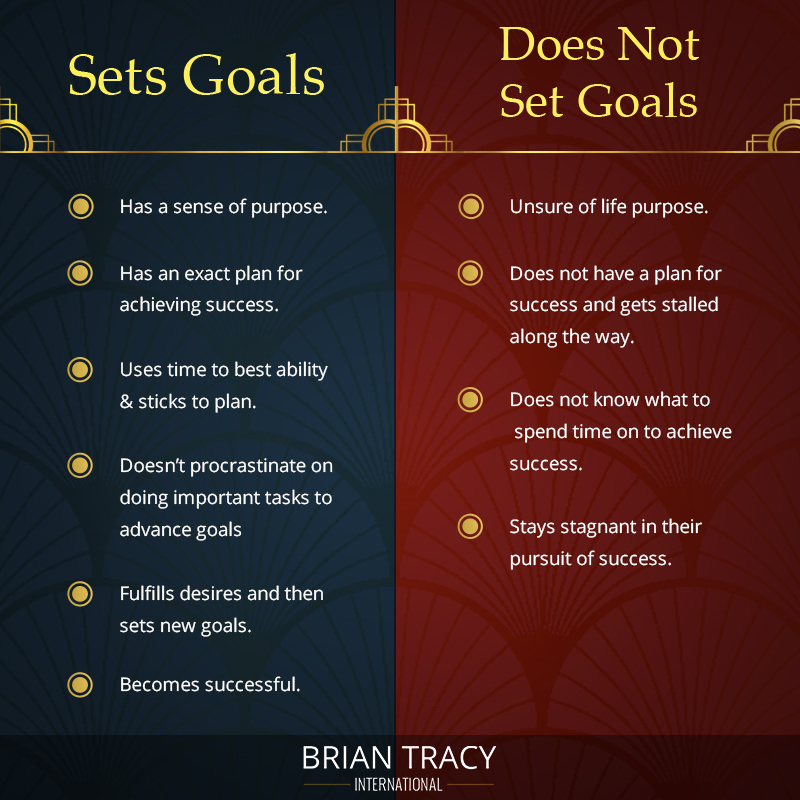 As you can see, sometimes goals must be modified so that they fit the criteria of a SMART goal, and other times the initial goal you set already fits the criteria. Either way, ensuring that the final goal you end up setting is a SMART goal is the best way to go about goal setting. SMART goals may be more beneficial than the average goal, but setting a SMART goal is still only half the battle – now you have to achieve it. Every SMART goal needs a SMART action plan to go along with it. 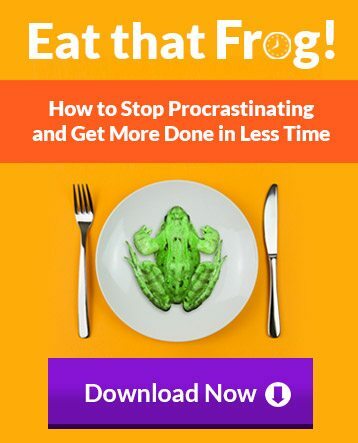 This action plan focuses on how you can go about achieving your goal through things such as setting milestones, highlighting potential pitfalls that could keep you from reaching those milestones, deciding what actions you need to take to reach them, and deciding on a schedule you want to stick to. I’m a big believer in the usefulness of planners, and that usefulness can be applied to achieving your goals as well. Once you’ve created milestones and a schedule in your SMART action plan, write them down in a planner and cross them off as you achieve them. Doing this will help you stay organized and keep you on track to reaching the goals you set. The truth is that the drive to achieve your goals will likely both wax and wane over time. With this being the case, you may find yourself at the point where you have all but forgotten why you set this goal for yourself in the first place. To avoid this, one of the best things you can do is to keep track of your progress in a goal journal. Not only will writing down your thoughts, progress, and more in a journal help keep you focused on your goal, it will also serve as a reminder of why you need to stay motivated. Following through on the SMART goals you set will always be more challenging than setting them, but if you remain dedicated and follow a well-thought-out strategy then you can certainly achieve each and every goal that you set. 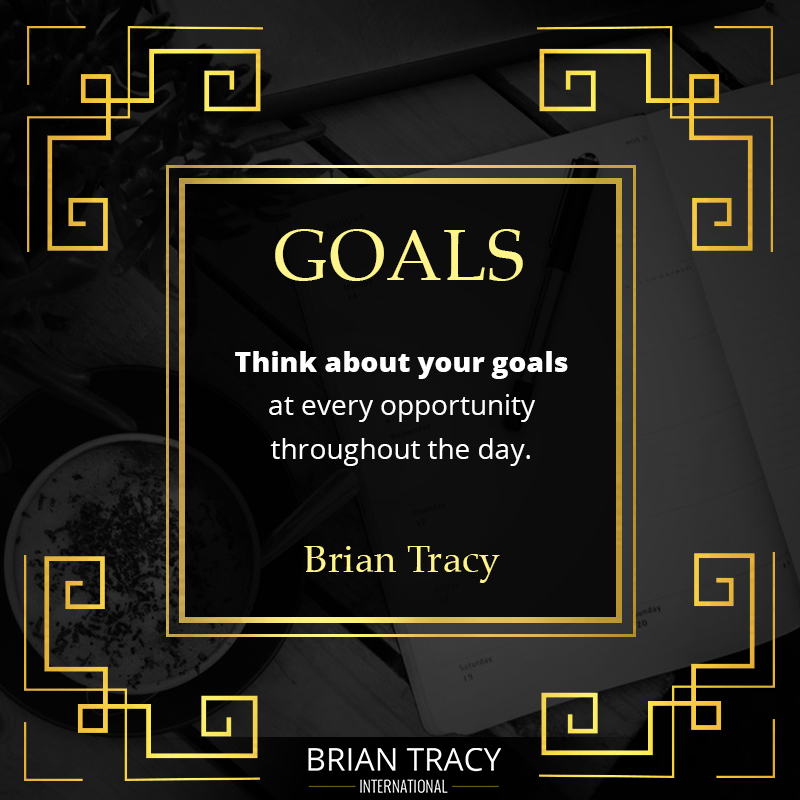 Learn more about Brian Tracy’s goal setting methods from his SMART Goals Template. People that set SMART goals are more successful than those who don't. 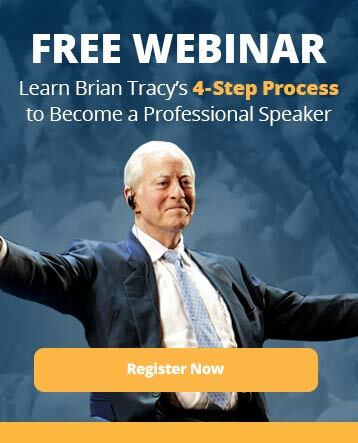 Learn how to set them from goal-setting expert, Brian Tracy. Get a FREE template, too!